Quick and Friendly Reminder – EA Sports Active Available Now! Posted byfycadmin	 May 19, 2009 Leave a comment on Quick and Friendly Reminder – EA Sports Active Available Now! 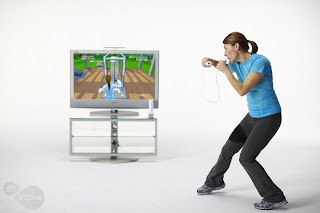 Just a friendly reminder to all those out there that EA Sports Active, the new personal trainer for the Nintendo Wii is available now. Mine is on the way still but you can bet that as soon as I get it, I’ll be sure to update everyone with pics unboxing it, and some screenshots. Then I’ll be participating in the EAS Active 30 day challenge and blogging my results for all of you to see how well it works. In the meantime, go get yourself a copy and let me know what you think of it because we want to know what all our “Feeders” think too. My review to follow in the next few days. Stay tuned.